We want children to have a real enthusiasm for mathematics. We teach them the key skills that will be essential at secondary school, in higher education and in their personal and working lives. Mathematics is an essential part of everyday life. When children can calculate, reason and solve problems confidently, they can make sense of the world around them and understand relationships and patterns in number and space in their lives. 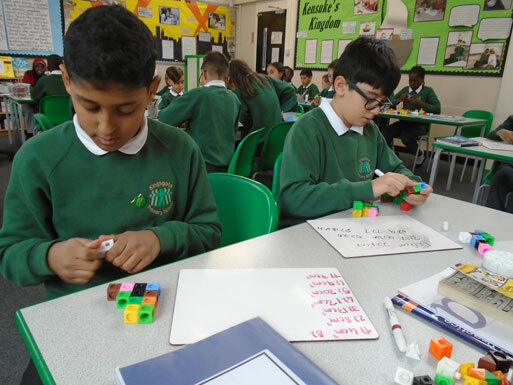 We have an exciting maths curriculum from nursery to Year 6. 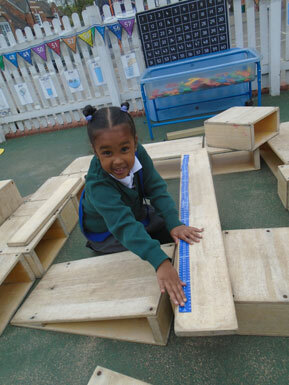 In the Early Years children learn about shapes and the number system. They do this through practical activities, role play and stories. As children get older, we teach them place value and number work, measurement, geometry, statistics, ratio and proportion and algebra. Children do a range of practical, investigative, problem solving and written activities. We use an online tool called Mathletics for homework for children to improve their fluency with number skills. We hold regular information sessions and workshops with parents about how we teach mathematics in school and how parents can help with their child's learning. 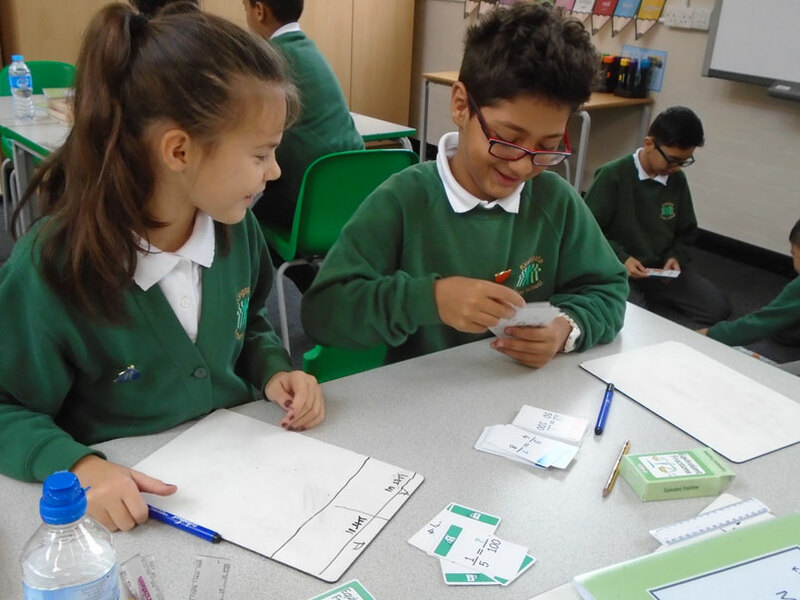 Hit the Button is an internet maths game that children use in class. Children can also practise Hit the Button at home. The Hit the Button games, which are against the clock, challenge and develop a child's mental maths skills.